HKU's Sustainability Office host a talk and exhibition focusing on Hong Kong’s subdivided units. 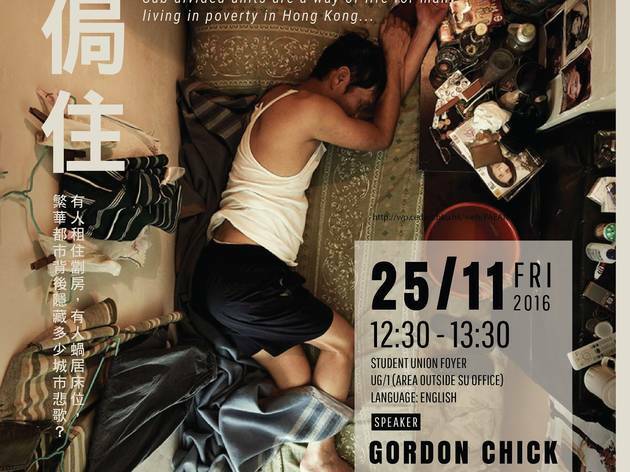 As part of the event, images from SoCO's photography exhibition Trapped will be displayed at HKU's Student Union foyer from November 21-25. The photos shed light on the housing problems in Hong Kong through scenes of life in subdivided flats and cage homes.